Old-world Europe awaits on a cruise along Amsterdam's 17th-century canals, in museums, and in parks, naturally inspiring... at a family-owned wine museum and in turreted castles, centuries old... in UNESCO World Heritage Sites and medieval hamlets, chronicling the past throughout the wine country of the Rhine and Moselle valleys... in market squares and half-timbered houses, full of life... in a Black Forest spa resort and a petite French Old Town, brimming with Belle-Époque beauty... and in a cultured Swiss city or lakeside country jewel, inviting with romance in an alpine setting. Your Rhine cruise begins: 4:00 PM, Amsterdam. A transfer is included from Amsterdam’s Schiphol International Airport or Centraal Station directly to your riverboat. 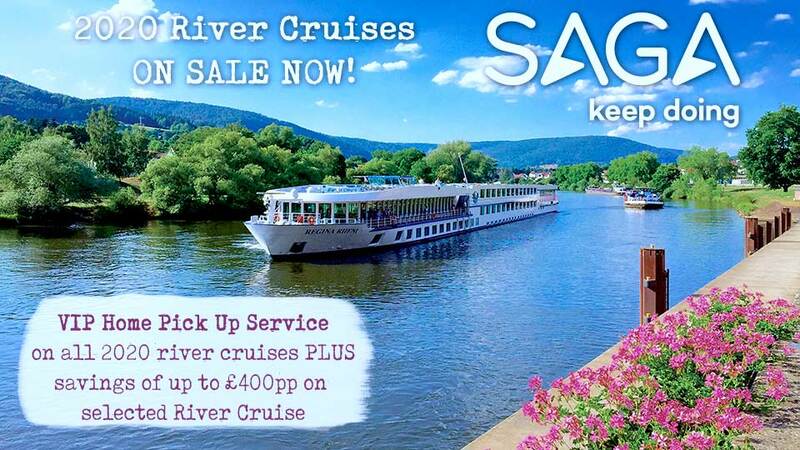 Your cruise on the Moselle and Rhine rivers begins when all guests check in at 4:00 PM. After a Discovery briefing, cocktail hour and a welcome dinner aboard ship, enjoy a musical performance in the lounge. Welkom aan boord! Indulge yourself in all the many charms of this city of canals today. 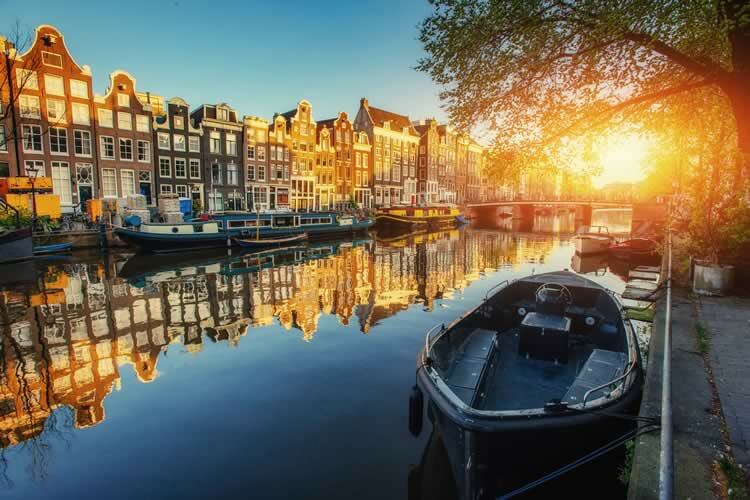 Discover Amsterdam's historic architecture on a scenic canal cruise along its 17th-century canals, past centuries-old merchants' houses from its "Golden Age." Check out the Museumplein and visit the famed Rijksmuseum, home to one of the world’s most important collections of artwork by the Dutch Masters. This afternoon, you have the choice of exploring more of this fascinating metropolis – at once one of Europe's most modern and most historic cities – on your own, or meeting a local family and visiting their home on an Amsterdam canal boat. Join us this evening for a gala dinner in the Compass Rose as you cruise to Nijmegen.. Your riverboat arrives in Nijmegen for a shore excursion to Arnhem and the 5,500-hectare De Hoge Veluwe National Park, home to many endangered plant and animal species. In the midst of this natural glory, you’ll find the inspiring Kröller-Müller Museum, featuring works of such luminaries as Pablo Picasso, Georges Seurat and Vincent van Gogh, along with Europe’s largest sculpture garden. Your choice today is a guided visit to this renowned art institution, or a bicycle excursion through beautiful De Hoge Veluwe National Park. Rejoin the ship for lunch, followed by a delightful afternoon and evening of cruising along the Rhine. Spend the morning cruising the Rhine, and arrive this afternoon in the historic German city of Köln (Cologne), where you'll enjoy a city tour with a local guide including the Old Town before returning to the ship for lunch and free time onboard. This evening, you're off to Burg Satzvey – owned by the same family for more than three centuries, and one of the most beautiful and well-preserved medieval moated castles in the North Rhine-Westphalia region of Germany – for a memorable visit and dinner with entertainment. Return to the ship late tonight to continue your cruise. Your Rhine-Moselle River cruise shifts onto the Moselle River today en route to Cochem, where stepping ashore is like stepping into the pages of a medieval fairy tale. Visit picture-perfect, 1,000-year-old Gothic Reichsburg Castle, which looks down on Cochem's quaint market square from above. Explore this jewel of a town – complete with Baroque town hall and ancient town gates – breathing in its historic charm and ambiance on a walking tour as well as free time on your own. Honour the area’s centuries-old winemaking traditions with a tasting of the excellent locally produced vintages at the family-owned Schlagkamp Wine Museum before returning to the riverboat for the evening. Dock in Bernkastel this morning for a journey to the tiny Grand Duchy of Luxembourg. A walking tour of its well-preserved old town reveals the Cathedral, Parliament, the Palace of the Grand Duke, and centuries-old battlements that are today a UNESCO World Heritage Site. Pay a poignant visit to the Luxembourg American Cemetery and Memorial; over 5,000 American casualties of World War II's Battle of the Bulge lie buried here, as does General George S. Patton. Later, return to charming Bernkastel, known as both the "Pearl of the Moselle" and the "international town of vines and wine." The town is celebrated not only for its wines, but also for its medieval market square surrounded by half-timbered houses, which you'll see on a walking tour, along with its castle ruins, fortress-like 14th-century church and Renaissance-era town hall. If you wish, you may join us for a guided bicycle ride along the Moselle River before returning to the ship for the evening. A morning excursion brings you to Trier, Germany’s oldest town, nestled in a basin of the Moselle River. Trier once was a residence for Roman emperors – reminders of that period include a 2nd-century city gate and a basilica built in 310 AD. You’ll explore the town and its Marktplatz, marked by a 16th-century fountain that features images of St. Peter, surrounded by the “virtues” of righteousness, strength, temperance and prudence. In Bernkastel, where your riverboat is docked, you can return to the riverboat for lunch or stay and explore its charming historic architecture as you wish until a mid-afternoon departure. 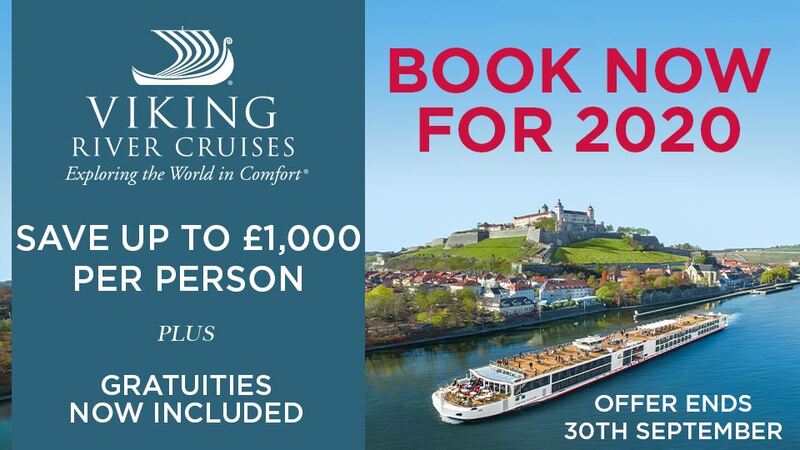 Tauck's Rhine-Moselle river cruise departs the Moselle today and returns to the Rhine, arriving in Boppard for an orientation tour and free time. While your riverboat glides through the Middle Rhine Valley, listen to the legend of the Lorelei and see for yourself why this beautiful part of the river – a UNESCO World Heritage Site – has inspired composers, writers and artists for centuries. Have lunch onboard, and gain insights on the Lorelei Valley and legends associated with the many castles you'll pass on your way through the region from your Tauck Director. Enjoy dinner aboard ship tonight. Today you can opt for a full day in the historic college town of Heidelberg, home to one of the oldest universities in Europe as well as the setting for the famous operetta, The Student Prince, or visit a centuries-old family winery. In Heidelberg, take a walking tour for a close-up look at the Old Town, and ride a funicular up to the imposing Heidelberger Schloss, perched 300 feet above the city; view its examples of medieval, Renaissance and Baroque architecture, and enjoy lunch at a local restaurant. Perhaps you’ll be as captivated by this lovely old city as America’s first travel writer, Mark Twain, was when he spent three months here with his family. Alternatively, you may choose to join us for a visit to the Karl Schaefer winery – established in 1843 and now operated by the sixth generation of the family – for a tour and a tasting. Rejoin the riverboat in Speyer, where you'll have some free time to explore, then return to the ship for the evening. Arrive in Plittersdorf for an excursion to the beautiful Black Forest spa town of Baden-Baden – proof that the elegant Belle Èpoque period is still alive and well. For many generations, wealthy folks have flocked here to see and be seen, and to take the healing thermal waters for which the town is famous ("baden," in fact, translates to "bath" or "bathe"). Join your local guide for a walking tour among some of the town's treasures, ranging from the ruins of Roman baths to the ornate, 250-year-old Belle Èpoque casino, the Kurhaus, which movie star Marlene Dietrich once described as “the most beautiful casino in the world.” Spend the afternoon as you please in Baden-Baden or back aboard the riverboat; shuttles are available to take you back and forth between the ship and town. You'll also have an optional opportunity to visit the Caracalla Spa in town before returning to the riverboat for this evening's gala dinner in the Compass Rose. Your Rhine cruise continues today to stunning Strasbourg, France – the seat of the European Council, the European Parliament and the European Court of Human Rights, as well as the capital of the historic Alsace region. You’ll see the Parliament buildings and step back in time to discover La Petit France, noted for its medieval half-timbered houses set beside lovely canals, on a walking tour. While visiting the famous Gothic Cathédrale de Notre-Dame de Strasbourg, you’ll be inspired by the graceful, expressive statuary of the Pilier des Anges (Pillar of Angels), and the magnificent stained glass windows. Spend free time this afternoon exploring the "crossroads of Europe" as you wish before returning to the riverboat for a local folkloric performance before dinner. The Tauck Difference in European river cruising is all about where you go, what you do, and who you meet on your shore excursions – and today, you have a choice! First choice is spending the day in Basel, a beautiful city on the banks of the Rhine River. You'll get a good overview on a brief sightseeing tour that is followed by a walking tour in the Old Town – see the bright-red Rathaus, Basel’s Town Hall. After lunch, explore more of one of Europe’s most attractive and best-preserved Old Towns on your own, perhaps taking in one of the city’s 40 museums. Your second choice is a trip to the town of Schaffhausen for an excursion to the Rhine Falls, the largest plain waterfall in Europe, which you'll experience on a boat ride. Return to the ship in Basel; this evening, bid the captain and crew a fond adieu at the ship's farewell reception followed by dinner aboard the riverboat as your Rhine cruise concludes. Your Rhine cruise ends in Basel. Fly home anytime. Upon disembarking the riverboat (no later than 9:00 AM), a transfer is included from ms Inspire or ms Grace to Basel-Mulhouse International Airport or Basel's SBB train station; please allow 3 hours for flight check-in. We wish you a safe and pleasant journey home. All private Tauck shore excursions – £725 Value!